Understanding and employing proper and healthy spending habits is not always easy. Even when consumers in New Jersey and elsewhere are aware of the dangers of accumulating credit card debt, this does not always help prevent credit card debt from plaguing him or her. 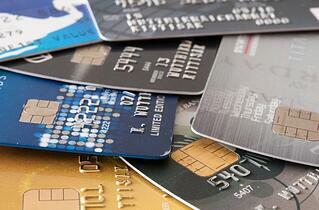 Various life events such as unemployment or medical problems could lead an individual to max out credit cards. Additionally, these unfortunate events could also make it difficult to make payments on time or even at all. Dealing with credit card debt is not easy, and our law firm understands that many people seek to get out of consumer debt. For some, gaining more information about debt relief options and healthy budgeting could be the answer. However, this does not always resolve the debt issues. Because credit card debt has the tendency to snowball out of control, it is often challenging for debtors to get out of it and regain control without taking major steps. Filing for bankruptcy might be the best option for the debtor. Our bankruptcy attorneys are very knowledgeable about the process and have helped past clients successfully navigate their claims. With several years of experience, our law firm has helped many residents in New Jersey deal with their debt issues, helping them understand the bankruptcy process. While bankruptcy is not always necessary or the best option for all debtors, it can be very helpful for others. Bankruptcy relief could provide a fresh financial start, allowing the debtor to move forward without credit card debt. No matter the reason why you are currently dealing with credit card debt, it is often crucial to understand ways to address it. While filing for bankruptcy is not for everyone, there are different debt relief options to deal with consumer debt. To learn more, contact one of our bankruptcy attorneys for a Free Consultation. If you need help, contact our New Jersey bankruptcy attorneys today.